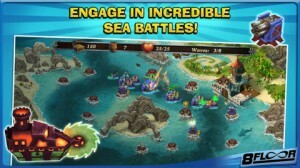 Fort Defense iPhone Game Review: Pirates Dead Ahead! Fort Defense is an iPhone game developed by 8Floor. There’s a pirate armada dead ahead! If you want to protect your fortress, you’ll need to build towers, cast spells, and take the battle right to the pirates! 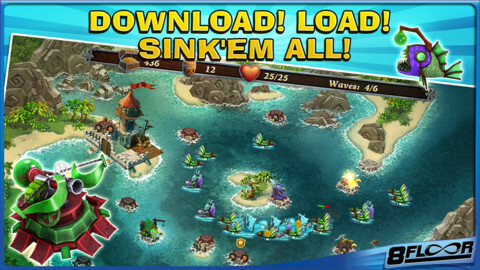 Wave after wave of pirate ships will enter the harbor, and you’ll need to erect towers in order to knock them into the briny deep. In addition to crossbow, cannon, and artillery towers, there are a number of magic spell towers you can build as well. These include swamp vapors, icebergs, meteors, and stamina spells. 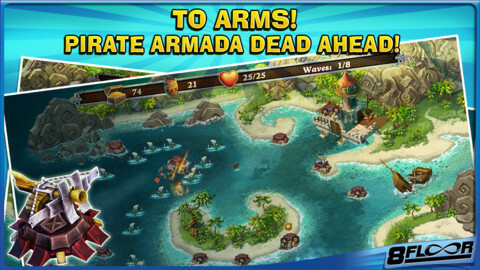 While there is a great variety of weaponry to be used in this game, Fort Defense does have a few minor drawbacks. One issue is the responsiveness of the controls. It can takes several taps to get your new tower to start building: clearly, some refinement is needed there to make the controls more sensitive. Once the tower is built, the control issues seem to dissipate. The soundtrack for Fort Defense is suitably epic, and definitely goes a long way towards setting the tone for this high seas adventure. For now, the adventure is contained to levels set in the Caribbean Sea. However, it looks like the next expansion for Fort Defense will include levels set in the Arctic Ocean, which should be quite a change of pace! With 20 amazing levels, gorgeous graphics, and addictive tower defense gameplay, this pirate-themed mobile game is well worth your hard-earned cash. 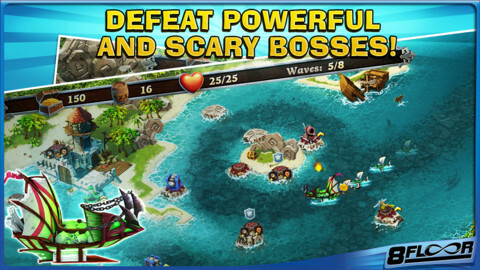 Whether you’re a tower defense junkie, or just a big fan of pirates, Fort Defense is a great addition to the App Store’s stable of games. Fort Defenseis compatible with iPhone 3GS, iPhone 4, iPhone 4S, iPhone 5, iPod touch (3rd generation), iPod touch (4th generation), iPod touch (5th generation) and iPad. Requires iOS 4.3 or later. This app is optimized for iPhone 5.